Do I Need an Attorney during Divorce Mediation? Do I Need a Sea Girt Divorce Attorney during Mediation? Under the right circumstances, divorce mediation can be a favorable method for couples to resolve their divorce, and reach fair and reasonable terms when it comes to marital asset division, alimony, child support, and child custody and parenting time. 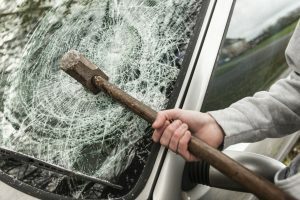 However, many individuals and couples who enter into divorce mediation are not familiar with its potential downsides and dangers, the biggest of which is the simple idea that a divorce mediator does not represent either party, rather their job is to act as a facilitator of conflict resolution. This means that if one party or the other is agreeing to an “unfair” deal, or agreeing to terms which may cost them down the road, as long as the divorcing parties are in agreement the divorce mediator cannot step in and tell one person or the other that what they are agreeing to is unfair or even dangerous. Simply put, entering into divorce mediation means that you have no individual legal representation – something which can open the door to a number of different problems and risks. This is why many couples who are choosing divorce mediation also choose to retain individual legal counsel during the mediation process. In today’s article, we will discuss exactly why entering into divorce mediation without individual legal counsel can be extremely risky, and what a divorce attorney can do for you as part of the mediation process. One of the most important requirements of a successful mediation is that both parties openly and honestly share financial information with one another. This information is used to calculate the many different financial aspects of a divorce, including alimony, child support, and equitable distribution. However, unlike in a more traditional divorce, there is no way for one party or the other to compel specific information to be shared or verify that the financial information that is being disclosed is accurate and truthful. If a person was inclined to do so, they could very easily fabricate or lie about financial information, thereby hiding assets from the divorce process and ensuring that they get a much “sweeter” (and technically illegal) deal than their spouse. This concern especially is why it is often recommended for each party to retain separate legal counsel during a divorce mediation. On the other hand, there is also the possibility that even when both parties share complete and accurate financial information, they reach agreements which look fair on paper, but actually hurt one or both parties financially in the long-term. A common example of such a situation would be when one spouse retains possession of the family home in exchange for savings account funds and a few other concessions. However, what neither party realized was that the mortgage is still in both parties’ names, so if payments are not made, the mortgage lender is free to go after the person who thought that they no longer “owned” their home. The bottom line is that there are many different ways for individuals and couples to knowingly, and unknowingly, sign unfair or damaging agreements during the mediation process due to the fact that a divorce mediator cannot give individual legal advice to either party, and is there only to facilitate communication and compromise between the divorcing couple. However, by retaining the services of a Monmouth County divorce attorney during the mediation process, individuals can avoid these costly mistakes, and ensure that any agreement they reach is both fair to them and a sound long-term plan. So while a divorce mediator cannot give individual legal advice to the participants of a divorce mediation, each party is free to retain their own legal counsel during the mediation process. However, your Wall NJ divorce lawyer will play a somewhat different role than they would during a more traditional divorce. During divorce negotiations or courtroom litigation, your divorce attorney would be directly speaking to the judge on your behalf or speaking to your spouse’s attorney on your behalf most of the time. However, mediation is designed to allow the divorcing parties to interface more directly with one another, meaning you and your spouse will do most of the talking and negotiation – something which appeals to many and is what draws them to mediation in the first place. During mediation, your lawyer’s role is more to advise you on what types of settlements are fair to you, whether or not they believe your spouse is trying to hide or obscure financial information from the mediation process, and what the long-term implications of any potential settlement are to you, your children, and your family as a whole. 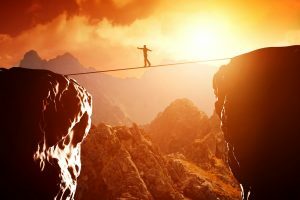 So while part of the attraction of the mediation process is the potential savings when it comes to paying for legal counsel, the bottom line is that there are very real reasons why people pay for attorneys to represent their rights and needs in matters as critical and life-changing as a divorce. Your parental and financial rights and standings are being decided, often for years to come, and the money you “save” by not retaining legal counsel is often lost to poorly designed financial agreements, and appeals and post-divorce modifications after you realize the agreements you signed were unfair or based on inaccurate information. 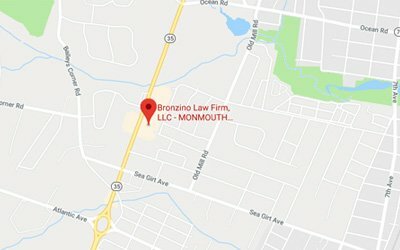 At the Bronzino Law Firm, we have extensive experience helping our clients to reach fair, situation-specific, and well though out divorce and family law agreements in Ocean and Monmouth County towns such as Wall, Jackson, Point Pleasant, Sea Girt, Asbury Park, and the surrounding communities. 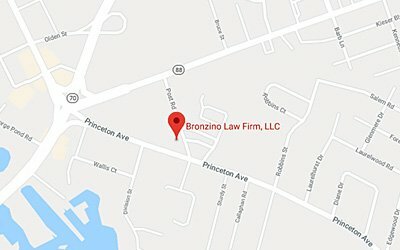 To speak with Peter Bronzino and our legal team today in a free and confidential consultation regarding your divorce, whether or not it makes sense to retain individual legal counsel during a divorce mediation, or any other divorce or family law latter you may be facing, please contact us online, or through either our Brick office or our Sea Girt office at (732) 812-3102.